Hey planner friends! 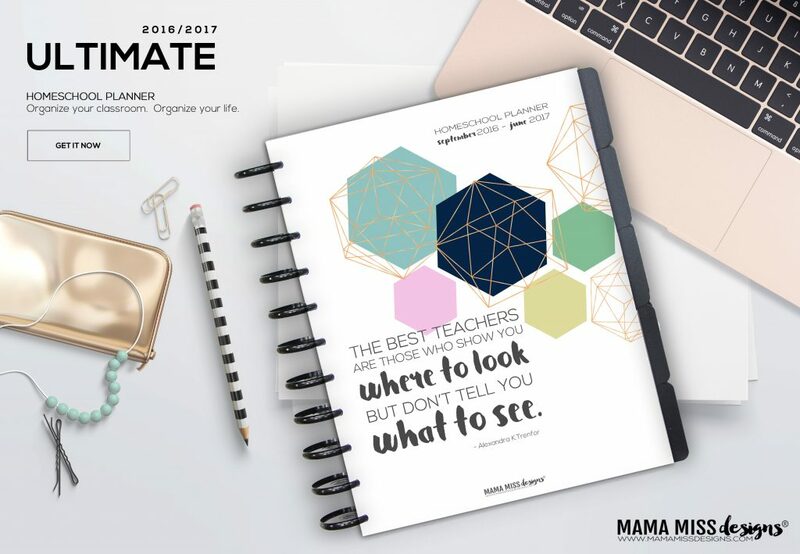 The 2016/2017 Homeschool Planner is HERE! 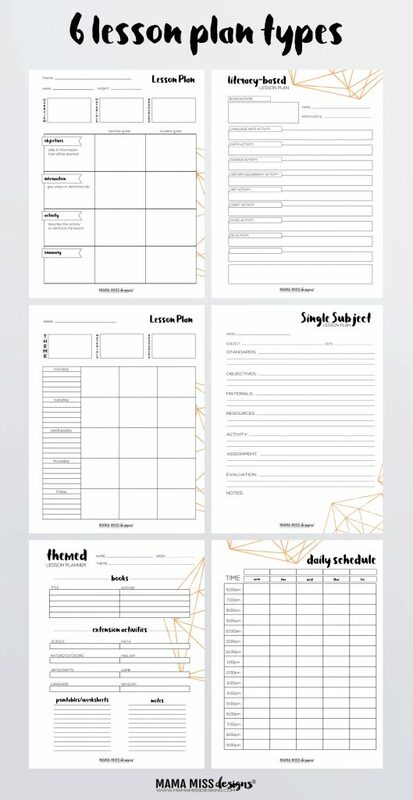 There are so many options for this homeschool planner to mold it into the exact planner that fits your needs! I designed 3 different covers – 3 date combos (if you wanted to split the calendar into 2, for each year, each semester). 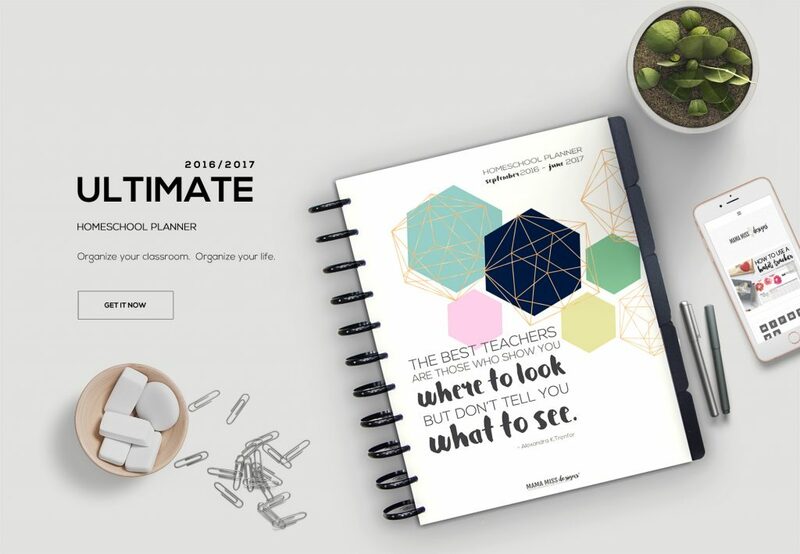 There are 6 different lesson plan layouts, quotes throughout to inspire you, sections to record tests & assignments, typical calendar stuff, a daily docket – lots of colorful pages to keep you motivated through out. 10 tab dividers (more or less depending on how you set up your planner) – I used black to match my discs, but there are multicolored , vivacious , & white too. 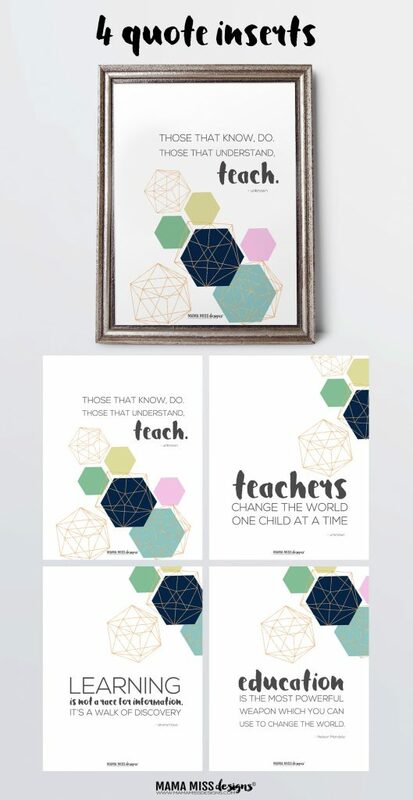 Bring it to your local office supply store & have them bind it for you – you’ll just need to print it out yourself (or have them print it for you – just bring this print release) & grab 2 packs of Clear Label Dividers, White, 5-Tab Set to separate the months. // 3 Ring Binder (recommended for 1+ child) (ps, I found this super cool flexible binder in my quest to put this together that may be a great alternative to the clunky 3-ring). Now let’s create the 2016/2017 Homeschool Planner! How you design it is up to you – that’s the beauty of it – it’s totally customizable! Print on heavier weighted paper, I prefer to use Staples brand 98 bright, 32 lb paper , it has a smooth, thick texture & makes a nice weight for the planner. If you will be going to an office store to have the pages printed it out – be sure to bring this print release form with you. I adore these Staedtler Triplus Fineliner Pens – they don’t bleed through the heavier weighted paper & are perfect! 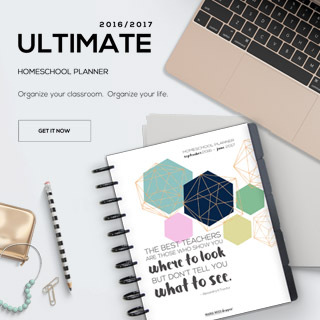 This is what you will get with your Homeschool Planner purchase? 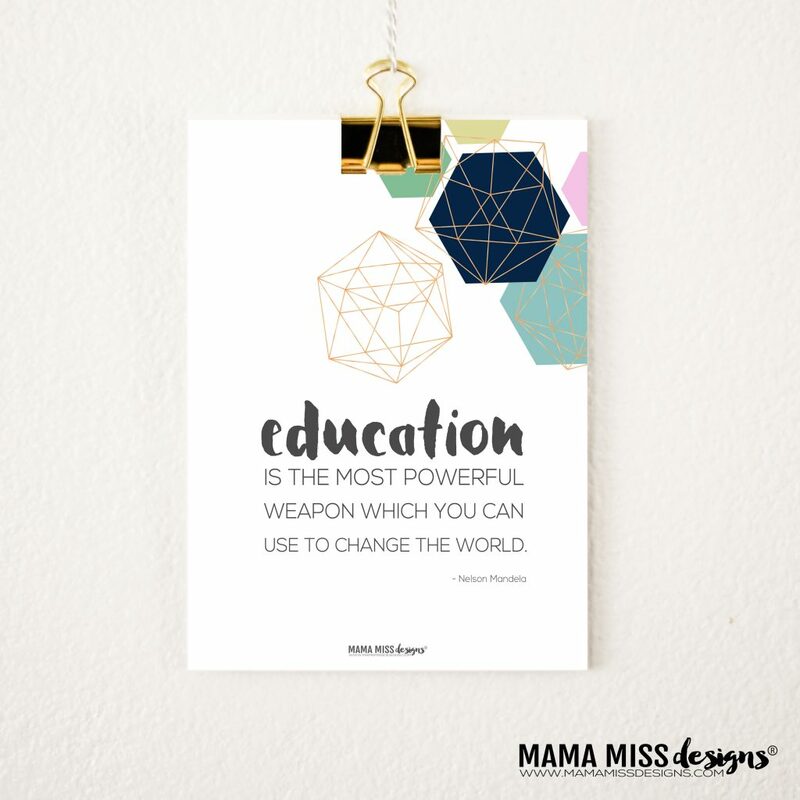 © Mama Miss Designs. All images & content are copyright protected. All work by Mama Miss (Mama Miss Designs) is licensed under Creative Commons Attribution-NonCommercial-NoDerivs 3.0 Unported License.